Thanksgiving is around the corner, and that can only mean one thing. My PHSD is about to kick in. Post-Holiday Stress Disorder, or PHSD, is the only way I can describe what happens to me once turkey day is done — and in less than a week, it’s about to come on full force. Just the other night, while Joe and I were shopping in a local home improvement box store, I heard tinny, computerized notes weaving their way through the store’s general noise. The song sounded familiar, and as soon as I realized it was a Christmas carol, my head ached, my stomach knotted, and my chest tightened. Goodbye November and December, and hello PHSD. As I glanced around the corner, I saw the most surreal thing. Christmas had exploded inside the store, and every robotic, flashy, noisy, blinking decoration was on display — and like good little wooden soldiers, there were my neighbors shopping for the latest, greatest, most inflatable-est lawn decoration. Not even a Sandy could keep the Christmas zombies away. But, Kevin, you’re all saying. The holidays aren’t even here yet. How could you possibly have post holiday anything? Because the holiday from which I’m still recovering is last year’s, and the year before that, and the year before that, and so on. The sad truth is that I used to love Christmas. No, let me rephrase that. I used to LOVE Christmas. Joe once called me Christmas Boy. I was a grown man who believed in Santa Claus, who eagerly awaited each holiday rerun, who not only loved to wrap presents but who would also wrap the wrappings — tucking small ornaments and jingle bells and holly sprigs into the bows and ribbons. I would even wake up each morning, eyes shut, feel along the wall until I found the light switch, turn on the tree lights, and then open my eyes. Absolute wonder! Then the craft bug bit me. I began a holiday newsletter that was filled with restaurant and movie reviews, family updates, puzzles, and amusing stories of the previous year’s events. More than 200 people received the newsletter — and many had asked for a summer edition. Waiting until Christmas, they said, was far too long. All year, I planned the newsletter, holding on to ticket stubs and restaurant business cards, writing small notes and thinking of headlines, shopping for the perfect newsletter paper on which to print, handwriting a small greeting on each one, licking hundreds of envelopes — it was exhausting but joyful. And in between all this, I sponge painted wrapping paper (thanks a lot, Martha, for that idea), and made my own greeting cards and gift tags for family. Over time, however, Christmas became the holiday that ate the year. On the one hand, I certainly blame myself for getting carried away — but I also have to place some of the blame on the Christmas pushers: retailers, radio stations, and many members of the public, who are like Christmas junkies, fiending for their next Christmas gizmo fix. As the months progress, store shelves seem to be at war with each other. Goblins and pilgrims and elves — oh my! I’m still never quite sure how economists can study the holiday sales season — do they begin looking at statistics on Black Friday or do they go back to July 4? Even Rockefeller Center has jumped on the Christmas Super-Holiday Parade. When I was a kid, the lighting of the world’s most famous Christmas tree was broadcast from 7:30 pm to 8:00 pm. Thirty minutes to sing and entertain and ooh and aah. It now takes two hours to flip the switch. There truly is no way to escape Christmas, to take a break from merry and bright mania. In a few short days, radio stations in my area will begin playing Christmas music — all day and all night until December 26. Yes, Virginia, not only can there can be too much of a good thing but “Good King Wenceslas,” as well. And let’s not forget our newest holiday tradition: the running of the bargain hunters. With Thanksgiving dinner barely digested, thousands of shoppers will press themselves against the front doors of many stores, eagerly awaiting the opening bell. Once the doors are unlocked, they will push and shove and trample their fellow shoppers in a stampede to the sales display. This is the most wonderful time of the year? This is goodwill toward men? Personally, I believe Christmas was hijacked and when I came to understand and accept my PHSD, I decided that I no longer wanted to be held hostage. Christmas — my Christmas — had to be reined in. I needed to take a holiday from the holly day, if you will. My first step was ending the newsletter. It was no longer fun. I then gave up homemade cards and gift tags. Last year, I stopped sending Christmas cards. The only decoration is a wreath on the front of the house. Inside, it’s decoration-free because Joe and I now travel for Christmas and because it’s nice to have a Christmas-free space in a world gone Christmas-crazy. This doesn’t mean that I ignore the season. 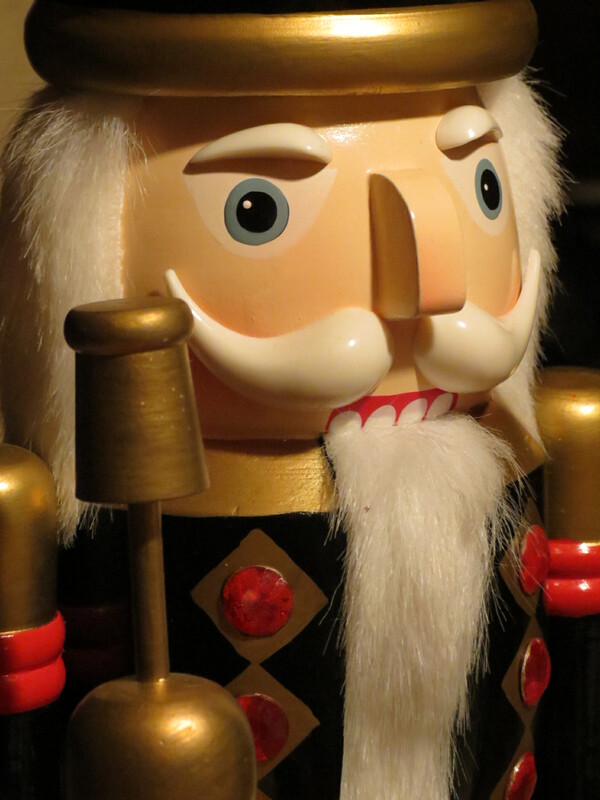 There are still aspects that I enjoy: my nutcracker collection, warm holiday gatherings with family and friends, glimpsing decorated trees in windows. The holiday is about moments, not madness. Someday, I think I will rejoin the land of Christmas — maybe I’ll even work in one of those Christmas shoppes, where it’s Christmas all year long. Until then, I just don’t think Christmas was meant to be a full-time job. As I reread this post, I know I sound like a Scrooge — but my humbug is not born out of greed. Call it stress. Call it anxiety. Call it a lament for Christmas the way it was. I know, somewhere beneath all of the tinsel and garland and show, there is a Christmas that I can embrace on my own terms. Special thanks to iRuniBreathe for the inspiration in creating this post. Sure you can, Kevin, its easy to do too. Just think of what you like the least, and eliminate it first and work your way down the list. Try and get your relatives or whomever you Christmas with, to join you. (This is the hardest part!) If they won’t, (they mostly like to complain about it but refuse to make any changes!) you can still do it for yourself. Just ride an air current above the crowd, enjoy what you will and eliminate what you don’t. I did it! Beautifully said! 🙂 Getting the holiday back to something more manageable has been years in the making — and the conversations keep happening. It’s certainly a process. I’m an agnostic. My husband and sons are atheists. My father died this summer. My mother died last year. It no longer makes sense to celebrate Christmas. It’s time for new traditions. I decided to celebrate Solstice this year. I can celebrate the days getting longer with all my heart. It has many of the trappings of Christmas, and it’s my son’s birthday. We’ll see how this goes. Hi Deirdre. Very interesting idea — and it makes perfect sense since there were Solstice celebrations long before Christianity arrived on the world scene and adapted its beliefs to coincide with these long-held traditions and celebrations. Peace. I love celebrating solstices. It’s a real event in the year. It’s not about what someone Believes™ but about what’s actually happening in the universe. The sun is at its lowest point in the sky, period. No belief, no revelation, none of that “six impossible things before breakfast” garbage. It’s right there. You can SEE it. The wonder! I am always in awe when I stop and think that as we go about our lives, our planet and all of the other celestial bodies are dancing a heavenly dance, perfectly choreographed. Thanks for sharing your view! Be well. Being a gardener is especially dangerous as the garden centres are usually the ones to fold first and start stocking Christmas decorations in August – well it seems that way over this side of the pond anyway. As a former retail worker who had to deal with Christmas in October I share your burn out about Christmas. On some days I thought if I heard one more pa-rum-pum-pum-pum I would pull my hair out. LOL! I think it is good to step away from all of that now and look to the points I do like about the season and keep my mind on those. Since I can now do that after retiring the real reasons I loved Christmas has returned and i can run fast to get away from it all too or just not walk into the fray. LOL! You are so right. These holidays have become so commercialized that the true meaning of them is totally lost. Thank goodness, I have moved beyond the stress, I only do what a really like to do which is a little indoor decorating and sharing time with family and friends over cocktails and appetizers. This year is my turn for Christmas day dinner and I’m glad to do it. The commercialization — especially commercials and shows that shatter the mystery of Santa — really gets to me. It sounds like you’ve found a way to make the holidays work for you — simple, easy, meaningful. Enjoy every moment! Thanks for giving voice to your experiences with PHST and, dare I say, the Christmas Reclamation Yell (CRY for short). Once upon a time, I lived in the far northern reaches of Minnesota. Even without being touched by a lot of commercialism, Christmas was SUCH a BIG deal. All the rich food (every bit of it homemade — perish the thought of opening cans or buying from a market), all the cards, decorations, and gifts. It was all a competitive craftaganza. The pressure to do was overwhelming, when the darkening days said “be”. The pressure to be cheerful also began to overwhelm. The stress contributed to a deepening case of Seasonal Affective Disorder, which took me to the bottom of the well. I had to quit Christmas cold turkey or risk losing my sanity altogether. I cut back to strings of little white lights and a fresh tree (always choosing one growing too close to another). My recovery also included celebrating the Solstice, giving thanks for the inward spiral the dak invited and for the return of longer days. Cheryl, thanks for sharing your story. In my area, the competition seems to be how many lights and decorations can homeowners fit on their house, their roof, their yard, etc. The more, the merrier — I guess. 🙂 It’s interesting to me that so many of us think and feel the same way, and yet the holidays continue to grow in scope. Move over, Kevin. I’m right there with you. I gave up Christmas cards years ago and don’t even give many of my neighbors cookies because they feel obligated to give me a gift in return, which I don’t want. We only exchange gifts with the kids and no adults, except a very select few. We don’t put out lights and have a very pretty but totally fake tree that comes with lights built in. I keep it as small and low key as possible and am always glad when it’s over. The more I read the comments, the more I am convinced of two things. First, I am impressed at how so many people have adapted their holiday to meet their needs. Second, I am in awe at what we have done to Christmas. It’s like Moby Holiday! 🙂 Enjoy every minute of the holidays. Such true sentiments – what to give people who have everything? We all have so much more than we ever dreamt of as kids. Of course Christmas in Down Under is just as consumer driven only in the heat and sweat! Though, if we can find the magic again now that would be worth it! Loved your post as usual. All the best for your Thanksgiving. Cheers, Flavia. Hi Flavia. I’m not sure if I should feel comforted knowing that our two countries share the misery of holidays run amuck, or should I be alarmed that our two countries share the misery of holidays run amuck. There’s magic out there somewhere — and you might find some ideas in the comments. Best! Complete agreement, here! 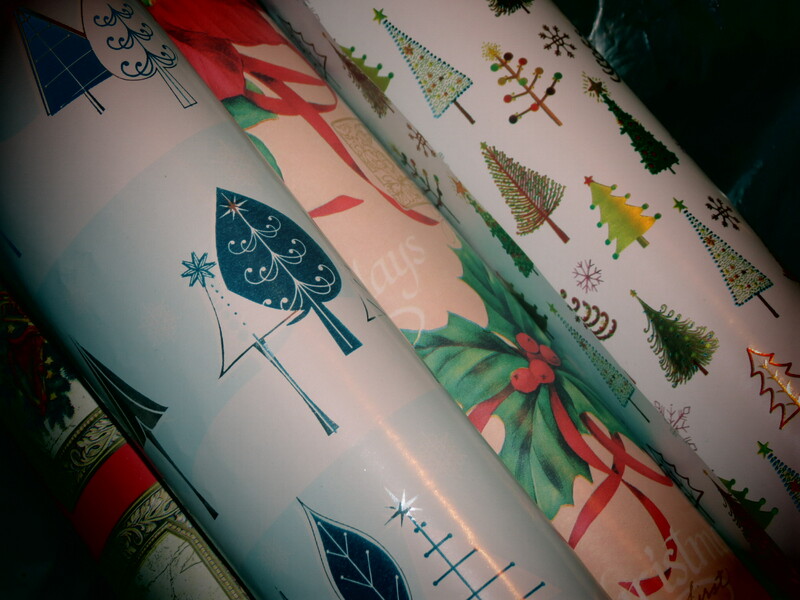 I used to love choosing the perfect gift wrap and curling the ribbons and buying beautiful name tags. I was actually proud to have some of my Christmas shopping done in July. Of course, that was totally different than having it shoved down your throat at Halloween. Then I discovered gift bags (they already have a tag on them!) and now I’m feeling much better. Just cook some good food and be with friends and family! So many of us have the same feelings when it comes to this topic. Who will be our Norma Rae? LMAO! Kevin, you KILL me! I know exactly how you feel. Do you want to know how I managed to escape PHSD? Twelve years (no pun) ago, I married Jewish man and adopted his customs, tossing mine to the side. Most of my friends and/or co-workers will ask: “…but don’t you miss decorating a Christmas tree, decorating your house, opening gifts etc…?” My stock answer is always, “Nope!” and it’s the honest to G-d truth. I do not miss one teeny tiny bit, not even the wreath on the door. One of my favorite snarky remarks is from the remake of Stepford Wives when Bette Midler character says, “…or maybe I could just use hundreds of Pine Cones to spell out the words ‘Big Jew’ in letters 15 feet tall, on the snow in my front yard? Too funny. We no longer decorate the house for several reasons — although the tree was my favorite. That being said, though, I don’t miss it. I don’t miss the mess and the undecorating and the convincing talk I had to give myself to decorate it in the first place. Maybe, someday, after I’m retired, I’ll return to the land of Christmas trees. Happy Thanksgiving! Happy Thanksgiving to you too. This will be my 2nd vegan Thanksgiving…and I’m hosting this year so my family is in for a real surprise. No turkey! Huh. That’s not a bad idea. 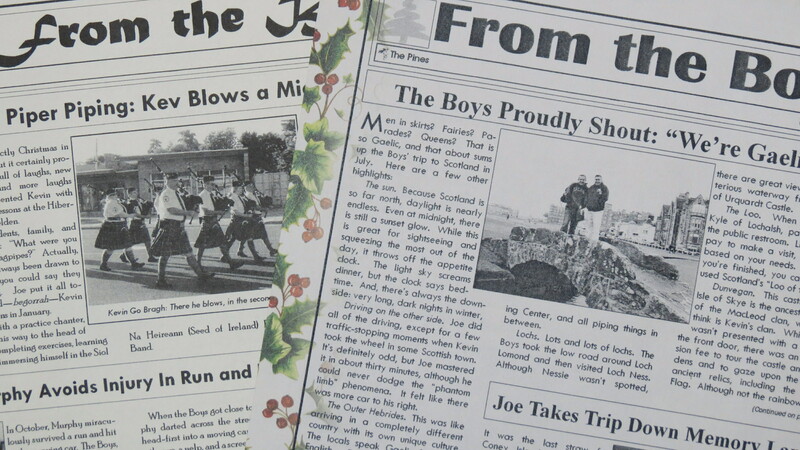 I still have every newsletter and one of my Christmas traditions is to reread them. I also cherish your creative hand-crafted cards, but fully understand that, after so many years, it is no longer fun, but a chore to produce it all. We, too, saw the beginning of Christmas merchandise being displayed in August. Two of our local radio stations have been playing 24 hour Christmas “music” (and I use that term loosely) for more than a week already. It’s insane! And the quaIity of the offerings leave a lot to be desired! I refuse to set foot in a store on “Black Friday” – there is NO bargain worth it. I remember the “Christmas Boy” who would sit quietly in front of the tree, patiently waiting for the rest of his family to awaken. Take the insanity and the commercialism out of the mix and I believe that boy still exists, deep inside. I still find a way to channel the little girl who would awaken on Christmas morning to a beautifully decorated tree (which hadn’t been there when I went to bed), beautifully lit and covered with angel hair, under which were gifts galore! It was magic and I still try to find ways to recapture that magic. Sometimes, it’s just lighting the tree, turning off all the other lights and listerning to the beautiful old carols sung by excellent choirs. My heart swells just thinking of it. I remember why I’m celebrating and feel very peaceful. Christmas is very much different that it was when we were kids. But, we can reclaim our Christmas memories and it doesn’t cost anything. We just need to search in our hearts for those deepest memories and feelings. They are there. My wish for you is a peaceful, beautiful Christmas, spent with those you love. As always I send my love to you. I don’t know either of you (Kevin or Pat) but this comment made me tear up! Hi Jessica. I’m glad you commented and had the chance to meet my Aunt Pat. She’s a very special person! 🙂 And you are the listener. I think we need to celebrate Thanksgiving first and then worry about the rest. What do you think? My kid loves Christmas. He stands in the grocery store mesmerized by the fake snow globes already. And as we were out shopping I heard the tinny jingle of some re-made Christmas song and wanted to stick carrots in my ears to make it stop. I know that you commented on my Christmas post and now have written one of your own. Good for you! Congrats on the Freshly Pressed as well! Hey, it’s kind of hard not to mesmerized by a snow globe. I totally get that! Actually, your post lingered with me — and when I found myself in that box store, listening to that horrible imitation holiday music, I thought my head would explode — so I sat down to write instead. Many thanks for your kind words and inspiration. Happy Thanksgiving! Glad you got those feelings out! And FP is a nice compliment to that as well! I’m paring down my holiday traditions after reading your post. I need the down time, more than I need to slave away writing holiday cards. You don’t sound like a Scrooge. I can’t stand the mere mention of Christmas before the turkey is cleared from the table. I’m smiling. When I was growing up, after the women in the family had cleared the table of dinner debris, they would then sit around the dining room table and make the Christmas list of gifts for family members. Technically, no mention of Christmas until the turkey was cleared. 🙂 Happy Thanksgiving! Hi Beth. I feel sad about not sending cards because the Post Office is doing so badly — but has the era of the holiday greeting card come and gone? Hmmmm. I hope your holiday wishes come true – and have a very Happy Thanksgiving. Kevin – it sounds to me like what you really need is to rediscover that feeling you had when your parents would finally let you and your sister into the room they had been preparing for Christmas each year – the one with the train set all decorated for the season! Christmas doesn’t have to be overwhelming and I applaud your effort to steer clear of the stressful aspects of it. But I hope you don’t “over correct” and swerve your way entirely around what was once (and could be again) a magical season in your life. The things that matter: the Christmas lights, reading Twas the Night Before Christmas, and getting in touch with people. The rest? Nice sometimes, but unnecessary. Embrace what you love and don’t worry about the rest. Hi Deb. This sounds beautiful — and I completely agree with your advice. May all of the season that you love be yours. Happy Thanksgiving! I think you’ll find your way back to the magic of Christmas again…You just need to look for the simpler joys. I agree. When I look at the big picture — time is the biggest issue. I look forward to the day when I can breathe and rediscover the magic of the season. Happy Thanksgiving! Moments, not madness. I like that a lot! Hang onto those moments and the great memories. Leave the madness for all the crazies who like that sort of thing. And you do the same as well! Thanks for commenting and Happy Thanksgiving! “Goblins and pilgrims and elves– oh my!” Hilarious and so true! Great post and I couldn’t agree with you more! I went in one store here in July to get some fourth of July decor and they were already setting up their Christmas trees! Made me want to vomit. 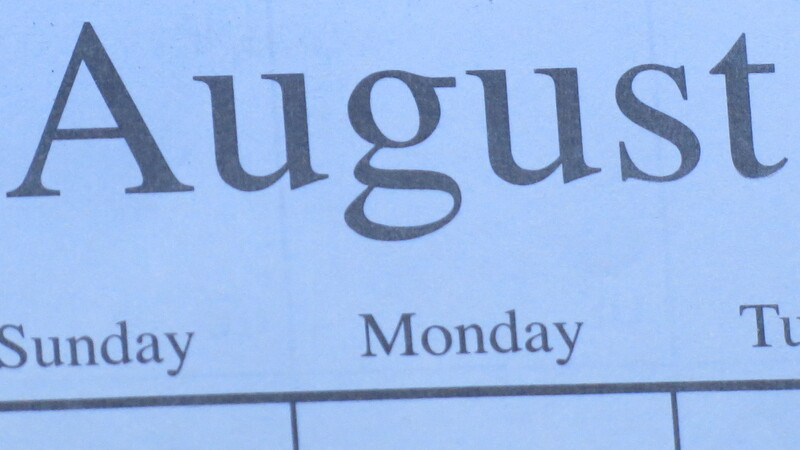 July?!? That is more than wrong. At this rate, Santa will be putting the Easter Bunny out of business. Many thanks for your comment! Thoughtful, insightful and witty post about Christmas. Many thanks for the repost. Happy Thanksgiving! I love Christmas maybe because i’ve never celebrated it never seen the rush of shoppers my christmas is limited to watching Christmas movies and studying in an almost catholic school. Christmas can be magical — if it was truly the way you described. It’s the stress of the preparation and our drive to create a holiday that is super-hyper, with joy that reaches to the stratosphere. Probably not a realistic goal — and it seems that many of the commenters have simplified the holiday to make it work for them. Thanks for commenting! I think The Running of the Bargain Hunters could be a new sport. Just wear white with a red bandana like in Pamplona, wait near the entrance to a Wal-Mart on Black Friday, and try to survive when the doors are flung open for the masses of bovine shoppers. I could laugh at this if it wasn’t an incredibly disgusting display of human behavior. A few years ago, a man was trampled to death in the stampede. And I noticed some stores, including one that I’ll refer to as Antique Armada, are advertising that they will be open on Thanksgiving Day! Like they’re proud of it! I feel for the Bob Cratchitt’s of the world. i don’t know how it happened. but over lunch today, our talk somehow veered towards the Christmas menu. it shouldn’t come as a surprise. “BER” months usher in Christmas carols and countdown here. and the celebration goes all the way till the feast of the Three Kings…first Sunday of January 😉 it can drive one nuts, every time! I can understand having the Christmas last until the Feast of the Three Kings — that, at least, has religious merit. It’s the Feast of the Retailers, which begins in August (and in July according to one commenter). Too much feasting! 🙂 Thanks for visiting and commenting. Thanks for reblogging this. Be well! It was the sponge painting gift wrap that did you in….I suspect it was all down hill from there. Good stuff! I now live in the UK so am not celebtrating Thanksgiving – which frees me up to go dolally over Christmas! How about you do a totally off beat Christmas – with the obligatory presents but Japaneseor Mexican food instead? you can be smug about all the traditional stuff going mad around you as you calmly measure out your wasabi…. I too have experienced the knee jerk reaction to too much prep for Christmas. By the time Christmas gets here, the spirit of Christmas is gone. So I took steps. I really slimmed down the card list (I still make them, but that is because I love to make cards and have stack after stack of Christmas paper!) We limit the gifts to three per person in the immediate family and one for grandparents. I ask my children to help pick out 23 families or friends and we go out each evening to sing a song and deliver a small treat, which they help me make, to one of those families. I do this to help them realize that Christmas is more than getting presents. We do a little decorating, but not much because who wants to pay that electric bill and clean it up? On Black Friday we sleep in and then go hiking. It has made Christmas so much more enjoyable. On Christmas Eve we focus on the birth of our Savior, and then Santa is usually mentioned at bed time so they will go to bed. =) Setting limits and avoiding stores have made Christmas much much more enjoyable in our house! Christmas is VERY stressful, but at the same time it happens to be the most wonderful time of the year! Goodness, I love every part of it. 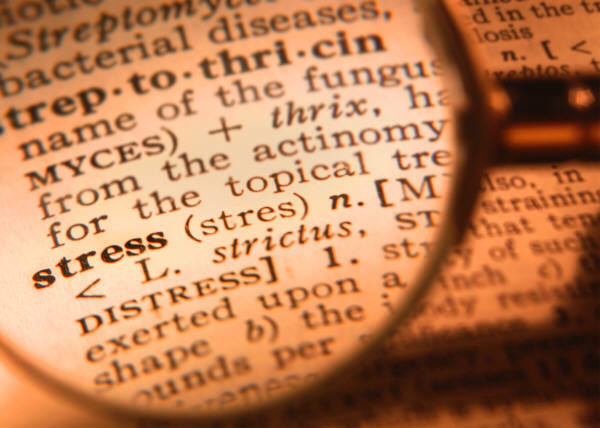 Oddly enough, even the stress is some what merry. Great post, thanks for sharing and congrats on FP! Thanks for commenting. I agree — there are aspects of the season that are fantastic. My fear is that those things have been swallowed up the commercialization — which, at this point, doesn’t even seem like a strong enough word. Enjoy every minute of the Christmas season! Congrats on Freshly Pressed. Again! Great post. Many thanks. It’s a bit overwhelming and a very fun honor. Happy Thanksgiving! Wonderful post. Happy travels. Happy Christmas. Hi Karen. Thanks for commenting — I wish you all the best this season. Be well. I absolutely agree. I’m so sick of seeing Christmas decorations for sale in July. I also hate the fact that I caught a glimpse of a Christmas commercial before Halloween. I love all holidays, but want to focus on one at a time. And come on Christmas movies before Thanksgiving, enough already. Relax people and enjoy. I sure can relate to this, as a single guy in my mid 20’s Christmas has never seemed so absurd. Too old for Santa and too young to have kids of my own to be excited for, it’s like the curtain has been drawn back on the wizard of Oz and I can see the cynical corporate machine working away in all it’s glory. Superficial cheer mercilessly crammed down our throats everywhere you go for 3 whole months of the year. I guess the main problem I have is the non consensual nature of it, you can’t escape it, you can’t just opt out. For months of the year you are bombarded with Holiday imagery whether you like it or not, and social pressure to “Be cheerful and buy something” is very strong. Like you said there are some really nice elements to this time of the year. I have some lovely Christmas memories, and I still like the lights and trees, the smell of pine needles 🙂 And maybe if Christmas encompassed a two week period and was not such an obvious corporate money spinner I’d enjoy the Christmas period. But as is stands the grossness far outweighs the nice things, for me anyway. Ok, better stop before this becomes a post of it’s own lol. Great post Kevin, thanks for sharing! I’ve noticed Christmas creeping in even before the Halloween stuff was taken down in stores. What a shame. And now Black Friday starts Thanksgiving morning, so you have 48 hours to spend your year’s savings on crap you don’t need. I love Christmas in both the religious sense and Santa Clause. This year might be a little difficult as it will be the first as a single mum with my 3 and 7 year old kids. But I’ll make the best of it while curled up under the tree with a cup of spiked hot cocoa. Congrats for getting FP 🙂 Merry Christmas! I truly feel for the employees of the store who have been told to report to work on Thanksgiving. What a way to digest! I wonder if we can expect a pre-after Christmas sale on December 25? By the way, I love the idea of a tree and some spiked hot cocoa! Enjoy! I’ feeling your PHSD!! The stores fill up with ‘junk’ months in advance – it really annoys me – you can’t find anything you want because it’s all been moved. I have been my saving up all my spare for a gorgeous outdoor clock for my garden. I went along to the store to buy it and was most annoyed that they told me they were in storage because of Christmas stock and to come back in the New Year. Baffles me £150 for a clock or a couple of quid for a length of tinsel – I know what I’d rather have. Christmas is hummingbird gardens, caroling in the cold, dinners at Michele’s, or summer meals by the river….doesn’t really matter the time or place, it’s about that spirit you feel in your heart. And with that thought, I’m migrating back to Spain for all the holidays this year, so sending you and Joe both lots of love and joy as we end one year and soon welcome in another. Thanks for adding your warmth and joy to so many lives….I count myself lucky for the moments we have shared over the years. Happy Holidays to two really special people…..hugs to you both! You’re sure not the only one (as you can see). I no longer put up decorations but will have to start Christmas tomorrow anyway. That’s the time all the regular music is stowed away and I start practicing my holiday repertoire to be note perfect. People like really like organ music for the holidays. Hi Diane. The life of an organist — I go through the same process after New Years, when it’t time to rev up for the St. Patrick’s Day season. Have a wonderful season! I just have to say that I’ve noticed that the holidays are running together, starting with Halloween, going through Thanksgiving, Christmas then Easter. Summer is our only break from it. Six months of decorations, candy and food: only the colors and symbols change. Yes, people do decorate trees for Halloween and Easter. Sounds like you found exactly what you enjoy about Christmas and that’s what you now recreate (friends, family and small gatherings). There’s no humbug there. Although that newsletter is all kinds of fantastic. Can’t imagine how much work that must have taken. You are sooooo right! Hope you had a very relaxing Thanksgiving.